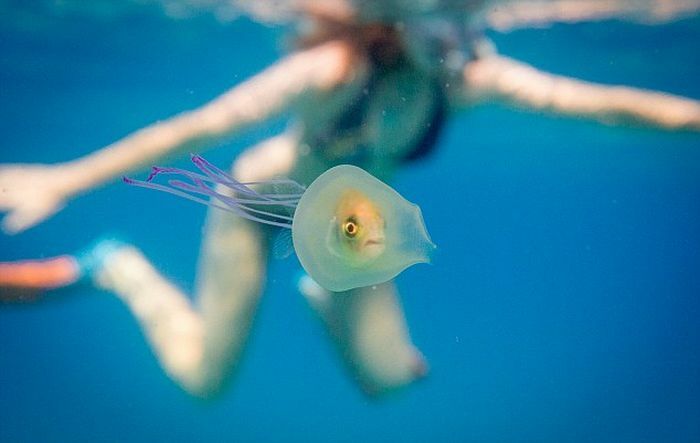 Photographer Tim Samuel was diving in Byron Bay when he noticed something strange. 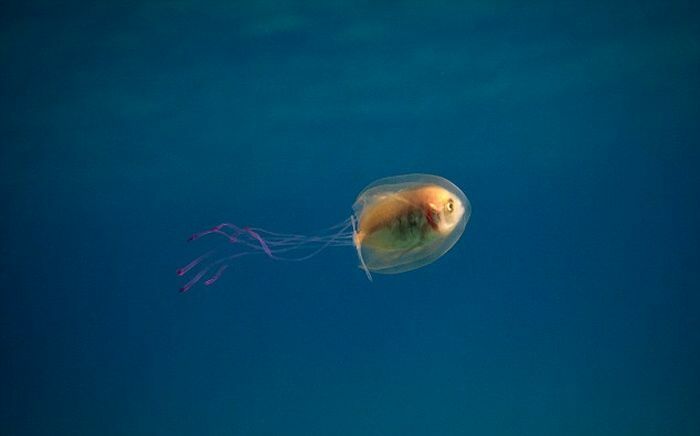 He saw a fish that was trapped in the belly of a jellyfish and it was hitching a free, but very slow ride. Hitches a ride? You mean being eaten. Is the fish not dead? More like a very slow death. Isn't it, like, being digested?